China supports the DPRK's efforts to denuclearize the peninsula and backs the planned dialogue and consultation between the DPRK and the United States for resolving the issue, President Xi Jinping said this week. 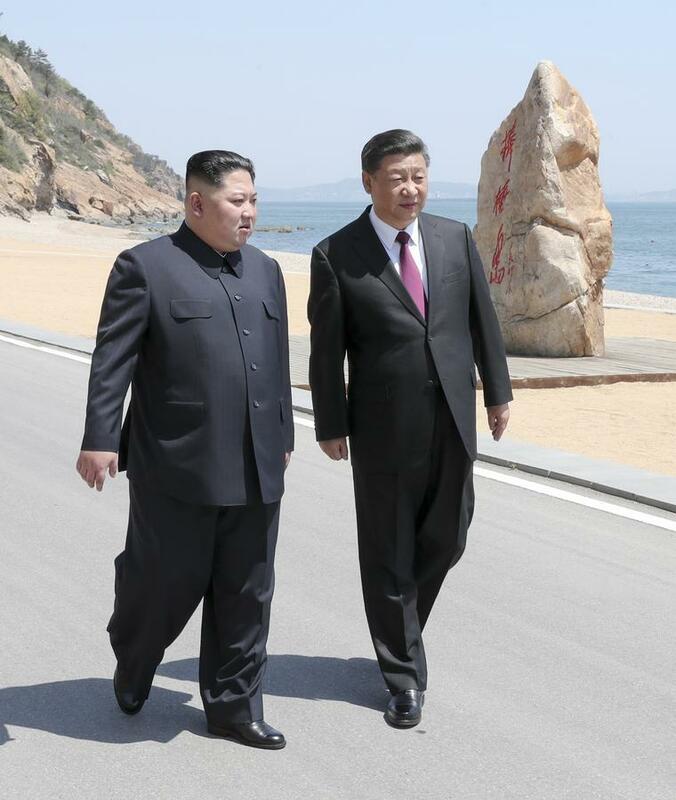 Xi made the remarks in meetings with Kim Jong-un, the top leader of the Democratic People's Republic of Korea, on Monday and Tuesday in the northeastern Chinese coastal city of Dalian. The president also said China will work further with parties involved and play a positive role in comprehensively advancing the process of peaceful dialogues to resolve the peninsula issue and to achieve long-lasting tranquillity in the region. Kim first made an unofficial visit to China from March 25 to 28, then met with Republic of Korea President Moon Jae-in on April 27. During Kim's second stay in China, which concluded on Tuesday, Xi held talks with Kim and hosted a welcome banquet for him. Together, they also took a stroll and attended a luncheon. The two top leaders had an in-depth exchange of views on bilateral ties. Xi said that he and Kim held their historic first meeting in Beijing in March, during which they had a long and in-depth discussion and reached a consensus in four areas on developing China-DPRK relations in the new era. First, the China-DPRK traditional friendship has been a treasure for both countries. It is an unswerving principle and is the only choice for the two countries to develop their friendly and cooperative relations. Second, both China and the DPRK are socialist countries, and their bilateral relations are of major strategic significance. Both countries need to enhance their unity, cooperation, exchanges and mutual learning. Third, high-level exchanges between the parties of the two countries play an irreplaceably significant role in guiding bilateral relations, Xi said. The two sides should maintain frequent exchanges, strengthen strategic communication, deepen understanding and mutual trust and safeguard common interests. Fourth, cementing the people-to-people friendship foundation is an important channel to advance the development of China-DPRK relations, Xi said. The two countries should in many ways enhance people-to-people communication and exchanges to create a sound foundation for the advancement of China-DPRK relations. Xi said he spoke highly of Kim's second trip to China within 40 days, which, he said, shows the great importance attached to the relationship and the strategic-level communication between the two parties and the two countries. Kim, chairman of the Workers' Party of Korea and chairman of the State Affairs Commission of the DPRK, said his second trip to China was to reinforce strategic communication and cooperation, catalyzing the bilateral friendship and boosting regional peace and stability. The progress made since March in bilateral ties and in the peninsula situation is an outcome[MG_SEO] of his historic meeting with Xi, Kim said. Kim spoke highly of Xi's vision and said he appreciated China's key, lasting contribution to achieving the peninsula's denuclearization and securing regional peace and stability. 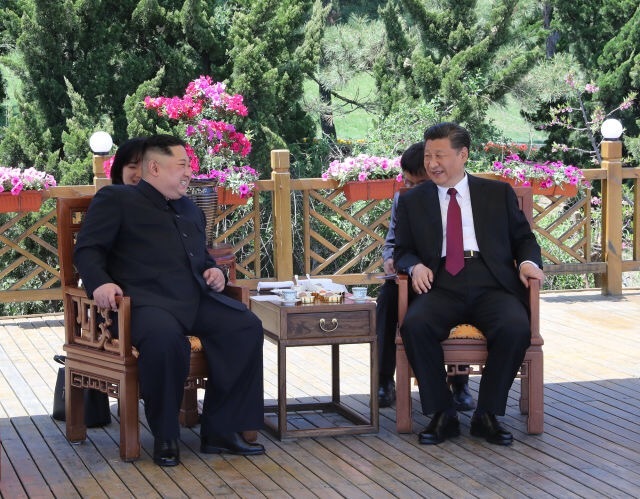 Speaking about the peninsula situation, Xi said Kim has actively worked to boost dialogues regarding the peninsula and ease tensions there and has yielded positive outcomes. With joint efforts made by all parties involved, the peninsula is gaining momentum toward the direction of facilitating a political settlement, Xi said. Kim said it is the DPRK's lasting position to achieve the peninsula's denuclearization. As long as the relevant party eliminates its hostile policies and security threats against the DPRK, there is no ncustom fidget spinnerseed for the DPRK to possess nuclear weapons, and the denuclearization could be achieved, Kim added. It is hoped that the DPRK and the United States can engage in dialogue and build mutual trust, and that all the parties involved can take step-by-step and simultaneous measures in a dutiful manner to comprehensively advance a political settlement of the peninsula issue and ultimately achieve the peninsula's denuclearization and lasting peace, Kim said. Also, Kim briefed Xi about the recent progress of the country's development and his Party's buildup. China supports the DPRK's shift in its strategic focus to economic buildup and supports comrades in the DPRK to take their own development path in keeping with the country's national conditions, Xi said.